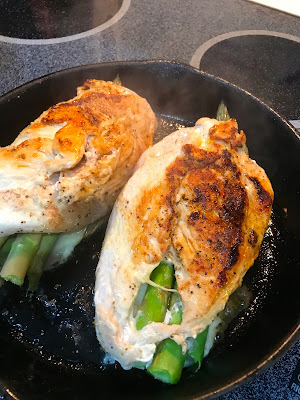 Start by butterfly-cutting the chicken breasts. of asparagus in the center of each breast. 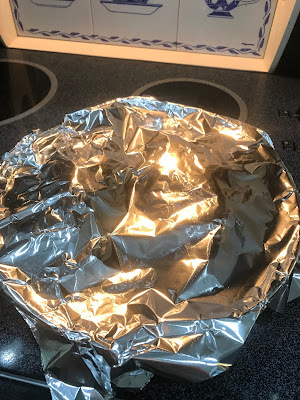 Fold over to enclose the filling. with salt, pepper, garlic powder, and paprika. the pan and the bottom is golden brown. cooking when the chicken goes in the oven. lemon juice to the the pan and whisk to combine. Pour the juices over the chicken. I like to serve this on a bed of rice pilaf. You could add a salad and crescent rolls for company. 1. 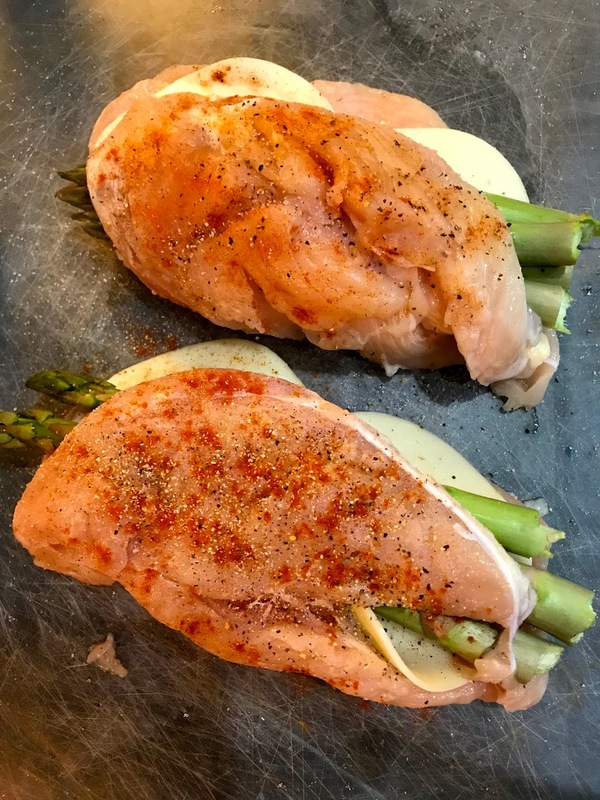 Cut the chicken breasts in half lengthwise. 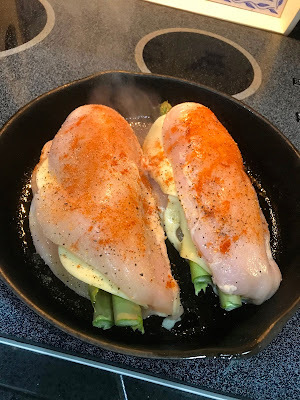 asparagus in the center of each breast. salt, pepper, garlic powder, and paprika. pan and swirl around to coat the bottom. and brown the other side for 3-5 minutes. for 15 minutes to finish cooking. over the chicken. Serve on a bed of rice pilaf.